Summer Camp 2019 Financial Aid application from February 1, 2019 through April 1, 2019. We are no longer accepting applications. Join our email list to receive upcoming program information. Thank you. 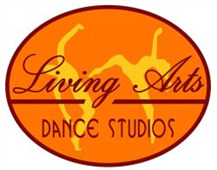 Living Arts Dance Foundation is a nonprofit corporation that administers financial assistance to eligible youth. Financial Eligibility Documents to be submitted: Copy of 1040 Federal Tax Form for each adult living in the home or Two recent pay stubs, Copies of awards letter for SSI, county assistance and child support. A letter explaining any extenuating circumstances of which we should be aware. Those who cannot provide documentation of income will not be considered for assistance. Please provide any additional information that you think might help us in making a determination. -Or Copies of awards letter for SSI, county assistance and child support. -A letter explaining any extenuating circumstances of which we should be aware. Those who cannot provide documentation of income will not be considered for assistance. Applicants for the youth scholarship program must be Philadelphia residents under the age of 18. Financial assistance is awarded without regard of race, color, religion, age, disability, or national origin of the applicant. What amount of assistance is available? Financial assistance awarded is based on the family's need and availability of the Youth Scholarship Program Funds. Scholarship amounts awarded will be between 50% - 90% of the program fees. Scholarship recipients are responsible for paying the remaining balance owed. When can my child begin classes? Children can begin participating in a Living Arts, Inc. programs once the Youth Scholarship has been awarded and any co-pay fees and registration fees have been received. Where do I turn in my scholarship documents? To have your application processed you must submit the application documents. If you qualify for assistance, you will be required to report changes in your circumstances to the program director. Types of changes would include people leaving or moving out of the home, if someone loses a job, birth of a child, new sources of income or changes to income. Failure to report required changes within the program guidelines can result in a loss of assistance and jeopardize future eligibility. We will keep your information private. It will only be used to decide which programs you may be eligible for. We will give you a written notice describing your financial assistance or scholarship. Financial assistance or scholarships can be terminated at any time due to: students poor attendance, students behavioral problems, poor academic grades, lack of tuition co-pay. I certify that all supporting documents are true and complete to the best of my knowledge. I understand that I may lose my assistance for lack of payment or falsifying information in connection with this application. I understand that I must bring documentation in every new session to qualify for the Financial/Assistance Scholarship Rate.